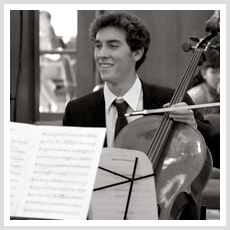 Cellist Drew Dahms began his cello studies at the age of 8 with local cellist Valerie Muccio and continued his studies with Andrew Cook throughout high school. He made his solo debut with the Thousand Oaks Philharmonic in winning the CWOTO concerto competition in 2012. Through attending the Marrowstone and Gold Coast Chamber Music Festivals, he performed in master classes for artists such as Walter Grey, Jonathan Karoly, and Andrew Janss. As a part of the Los Angeles Junior Chamber Music program, Drew also performed in master classes with Joseph Silverstein, Movses Pogossian and Andreas Weber. 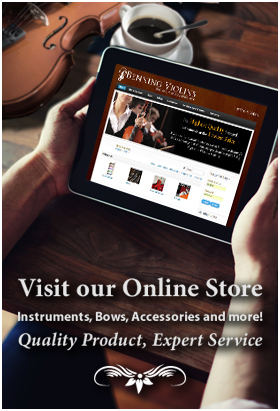 His piano trio performed at the Mozarteum in Salzberg, Austria after winning a Junior Chamber Music competition. In addition, Drew has collaborated with established artists Edward Francis, Mark Richman, Steven Custer, Michael Kannen, and Seth Knopp. He has enjoyed performing with the American Youth Symphony, Conejo Valley Youth Orchestra, and is currently a member of the Peabody Concert Orchestra. Drew has had the opportunity to play in various studio orchestras in Los Angeles including a performance on the show The Moment on USA. An active chamber and orchestra music performer, he currently studies cello under Alan Stepansky at the Peabody Conservatory.